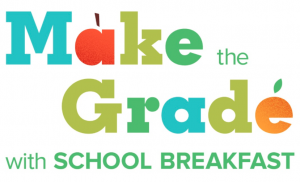 To encourage more families to take advantage of the healthy choices available for school breakfast, Park City School District will celebrate National Breakfast Week, March 5-9, by offering free breakfast on Wednesday, March 7, at all school cafeterias. The menu will include sunbutter and banana sushi and cold soaked oats parfait with fresh fruit and greek yogurt. Wednesday’s complimentary breakfast will be available while supplies last. – Park City High: 7:10 – 7:35 a.m.
– Treasure Mountain Junior High: 7:10 – 7:30 a.m.
– Ecker Hill Middle: 8:30 – 8:50 a.m.
– Jeremy Ranch Elementary: 7:50 – 8:15 a.m.
– Parley’s Park Elementary: 7:40 – 8:10 a.m.
– Trailside Elementary: 7:45 – 8:15 a.m.
– McPolin Elementary: 7:30 – 8:00 a.m.
“A healthy breakfast at the start of the day is one way to ensure students are getting the best education possible,” said R.J. Owen, Director of Child Nutrition for PCSD. “National School Breakfast Week helps us educate parents and students about all the healthy, great tasting, and appealing choices we offer. The cost of school breakfast for students is: $1.25 at elementary schools, $1.35 at Ecker Hill Middle, $1.45 at Treasure Mountain Junior High, and $1.50 at Park City High. Students who receive reduced-priced meals only pay $.30 for breakfast. Park City is fortunate to have outstanding community partners supporting vibrant after-school programs for elementary students. 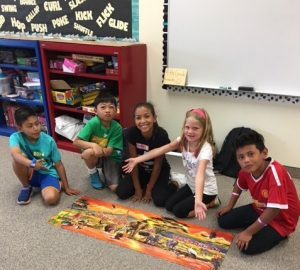 Last year Park City School District and Holy Cross Ministries Combined its after-school programs into one unified program and it’s proving to be a big win for students. – STEM and Literacy: Students read for 30-45 minutes every day then alternate between art and science projects during enrichment time. – Homework Help: Students work on homework for 45-90 minutes each day with help from teachers and volunteer tutors. – Physical education and Exercise: Students have recess 30 minutes each day and go on field trips twice a month with Kids Outdoors. – Field Trips: Students go on field trips in Park City and in Salt Lake City. The programs run Monday through Thursday from 3-6 p.m. and Fridays from 12:30-6 p.m. 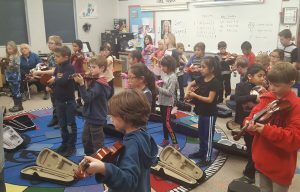 It is open to students in kindergarten through fifth grade, and a monthly fee is charged. Financial assistance is available for those who qualify. 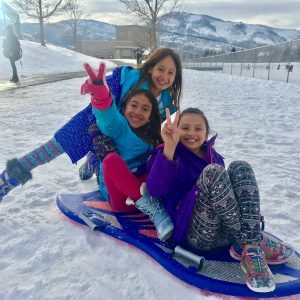 After-school programs are offered at all four Park City School District elementary schools — Camp Moose, Camp Hawk, Camp Falcons, and Camp Trailblazers. Parents can still register for the programs going on now, and next year’s registration begins in April. Additional community partnerships include: Park City Education Foundation, United Way, Big Brothers Big Sisters, Basic Recreation, PC Marc, EATS Park City, Summit Land Conservancy, Youth Sports Alliance, Park City Community Foundation, and Latinos in Action. For more information visit the Community Education website here. About Holy Cross Ministries: Holy Cross Ministries (HCM) is a non-profit organization in Utah that responds to the underserved community’s need for health and wellbeing. HCM’s history of providing services to vulnerable families in this community dates back to 1875, when the first two sisters of the Holy Cross arrived to establish a hospital for injured miners and railroad workers. In their first three months of service, they opened a hospital and a grade school. They established an innovative prepaid health plan for miners in which participants contributed $1 a month while in good health, which entitled them to free admission. 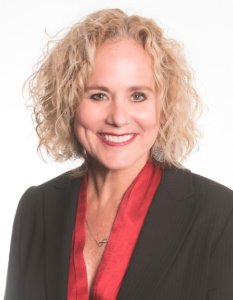 Over the years, as the healthcare environment and delivery system in the United States became more complex, the sisters decided to move away from the acute hospital setting and to look at new and innovative ways to reach out to the underserved and underinsured. In 1994, the Sisters created Holy Cross Ministries (a 501c3 nonprofit organization) to continue their tradition of compassionate service. Today, Holy Cross Ministries continues to serve the poor, underserved and marginalized, through health outreach, education, and legal services.